Absolutely mint condition Edwardian Glass Perfume Bottle with its also mint condition original glass stopper. From BERTRAND FRERES Perfumery in GRASSE, France. 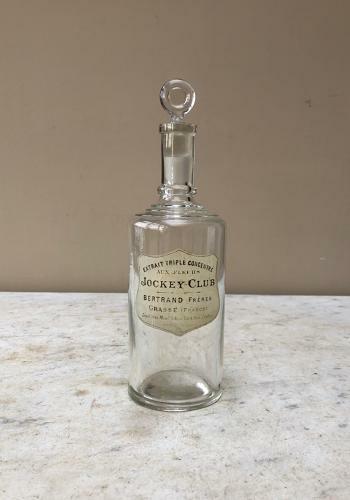 This particular fragrance is a concentrated floral scent called Jockey Club.